7. Add oats, one cup at a time. 8. Stir in chocolate chips, pecans, spices. 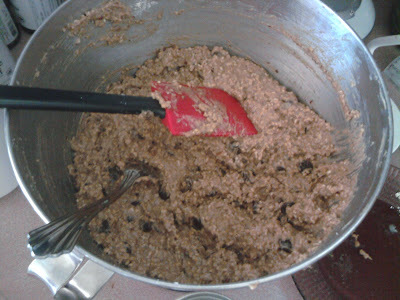 You can add dried fruit, other nuts, whatever you want at this stage. 10. 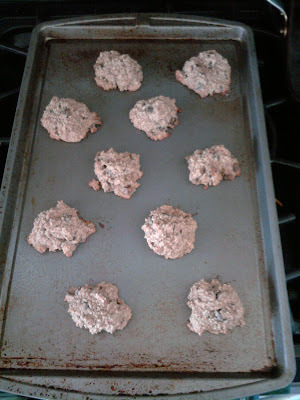 Bake for 12 minutes or until brown around the edges. 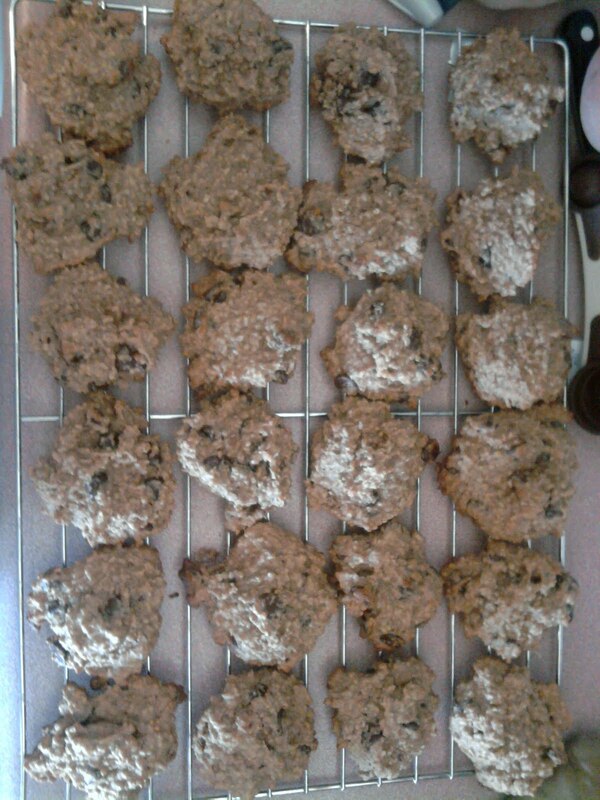 So overall they are crunchy thanks to the steel cut oats but actually quite tasty. Next time I might add fenugreek so I can take less pills. I only baked two trays' full this time due to Cece nap constraints, but I have at least another half dozen trays' worth in the freezer ready for me to bake when I want to. * maca doesn't contribute to making more milk but it's really good for general mental health, and with my anxiety issues, I find it's really helpful. Unbaked cookies. I didn't know how much they'd spread (which turned out to be not at all) so I gave them a wide berth.